The definition of underdog is a team or individual that has a small chance of winning a competition. Athletes’ or teams’ mindset determines the chances to pull out a win or successful outcome when over-matched. Thus, you want to work on the right mindset that will help you play to your or your team’s ability. How would you feel if you were told by your friends that “You probably won’t win today”? What would you think if your teammates said, “We are going to get crushed this game”? How much effort or focus would you apply if you said to yourself, I have no chance to win today”? If you believe you have zero chance of success, you’ll probably go through the motions and not give 100 percent effort. When you have this defeatist mindset, you have little chance of succeeding. How would you feel if you were considered the next possible Cinderella story? What would you think if you saw the competition as an opportunity to demonstrate your skills and pull off the upset? How would it affect your effort if your teammates were excited to be the team to dethrone the reigning champions? This underdog mindset would fuel your effort and focus, after all, you have a chance of succeeding. The underdog mindset relies on the fact that you have trained at a high level. In other words, you must be physically and mentally prepared to your fullest for the competition. The underdog mindset requires that you trust your training and believe in your ability to perform to your capabilities. The underdog mindset requires that you keep your focus on your strengths, embracing the challenge, and looking to grow. Case in point, look no further than the Virginia Tech/Duke University game in the sweet-16 match-up at the 2019 NCAA Basketball Tournament. Duke was picked by many to win the tournament and arguably have the most dominant player (Zion Williamson) in all of college basketball. Most people picked Duke to win the game handily. Despite being the underdog, Virginia Tech’s strategy was to avoid the hype and keep the focus on their strengths and game plan, according to Virginia Tech senior Ahmed Hill. Virginia Tech guard Justin Robinson said the team saw the game as just another game. Despite losing the game in the last seconds, 75-73, Virginia Tech battled and gave themselves a chance to win. That is the underlying positive quality of the underdog mindset. First, you should feel no expectations or pressure to win as the underdog, which allows you to play freely. The “underdog mindset” doesn’t guarantee victory, but success is not always about the final outcome. You want to keep the focus on your game plan. Write out the 3 keys for success the day before the competition. Read these keys the day of and just before the competition. These keys should be your sole focus during the competition. And be sure to focus on your talents, strengths, and abilities, not your opponent’s. If you’re a top performer during practice but find yourself under-performing in competition, the most likely culprit holding you back is your mental game. 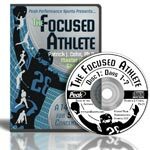 Master mental game coach Dr. Patrick Cohn can help you overcome your mental game issues with one-on-one personal mental game coaching. What are our mental game coaching students, parents and coaches saying?